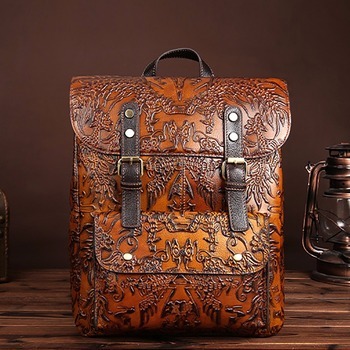 You can use this Crocodile Embossed 13 Inch Leather Laptop Backpack to travel to work or school in style. First of all it features an embossed crocodile skin pattern to create an interesting look. Then there is the front large exterior compartment that comes with a zipper closure which opens to reveal a computer inter-layer to store your laptop, along with your cell phone. There is also an extra slot pocket for cards. 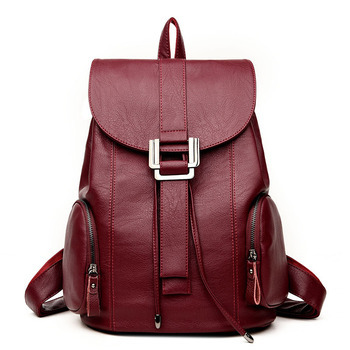 To add to all this, there is the zippered side pockets that provide storage for other small items. Furthermore, the middle offers plenty of room to store your books and work or school supplies. Finally, You are given two options on how to carry your bag. You can use the adjustable straps that help achieve a perfect fit, or the grab handles if you prefer. Due to the measurement methods, Please allow up to 1/2 “ (1-2 cm) in the size deviation.